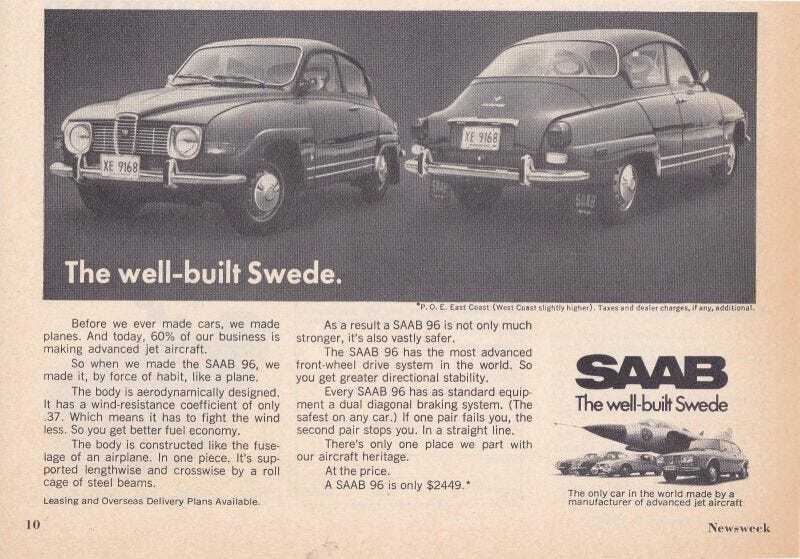 Saab 96, drag coefficient of 0.37, not bad by 1960's standards. That’s the same, BTW, as a Ferrari F50. A VW Beetle had 0.48, A Citroen DS 0.36.